Michael J. Lear is a Vice President and Financial Advisor with Bernstein Private Wealth Management. He is located in Bernstein’s global headquarters in New York. Michael advises individuals and institutions regarding a wide range of financial planning and investment matters, tailoring comprehensive strategies uniquely suited to each client’s individual resources, tax situation, risk tolerance and estate planning goals. 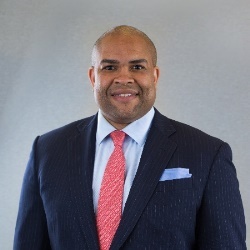 Prior to joining the firm in 2017, he was a portfolio manager with Athena Capital Advisors, where he was head of their New York office and worked on all aspects of managing client portfolios focusing on asset allocation, manager selection, implementation and aligning client portfolios with their values. While at Athena, Michael spent much of his time on impact/ESG matters, serving on numerous panels for Big Path Capital among others; he also served as part-time editor for Smarter Money. Michael represented the firm in the media with appearances on CNBC and Reuters TV, and he has been cited in The New York Times, and other media outlets. Prior to Athena he was a portfolio advisor with MetLife in their Investment Strategies Group where he guided the regional and national institutional sales teams in the promotion and marketing of MetLife’s corporate benefit funding products. Earlier, he was a portfolio manager with Carruth Capital, where he oversaw the financial planning and portfolio of a single-family office. Michael earned a BS in marketing from Boston College and a Master’s in investment management from Boston University. He is a Chartered Financial Analyst (CFA) professional, a Chartered Alternative Investment Analyst (CAIA), and a Certified Investment Management Analyst® (CIMA®).